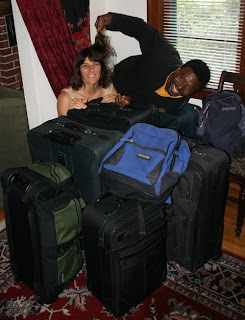 Tomorrow at noon Andre and I will be heading to the San Francisco airport to begin our long journey to Haiti. Three planes and 24 hours later we will arrive at Port-au-Prince with our four 50-pound suitcases, two 40-pound carry-on bags, and two day packs. Altogether, our free legal baggage limit is equal to 300 pounds -- just about what Andre and I weigh together. It's like having two stowaways with us. Luckily, 99% of it will stay in Haiti. I plan to come back with my laptop, cameras, and the clothes on my back. The rest are gifts of clothes, electronic items, and household goods. 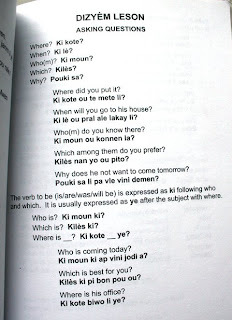 I've also been studying up on my Creole (Kreyol). 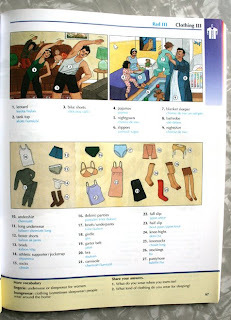 It's a wonderful phonetic language, which blends French, Spanish, English and African languages. I have some oral lessons by Pimsleur in my MacBook also. The basic vocabulary is pretty simple, with very little grammar, so you can start building sentences easily, kind of like "Me Tarzan, You Jane." But don't be fooled by Creole's limited vocabulary. It's a rich and expressive language. Many times when I ask Andre for a translation of something he tells me you have to be Haitian to understand. This is our third trip to Haiti together -- our first time as a married couple and the first time that we'll be speaking to each other in English instead of Spanish. Andre told me that some people thought I was really Dominican, not American, since we spoke to each other in Spanish. Now they'll know the truth since Andre's English has gotten so good. He may even speak better English than his former teacher in Haiti does -- thanks to his wonderful ESL teachers Lori and Peggy here in Santa Cruz. Today is his last day at Adult School. He's hoping to start at Cabrillo Community College in the fall. We've been stuffing our suitcases and stepping on the scale for a week now. Every time we find something else we want to take, something else has to be removed. It's not fun, but hardly worth $50 just to take an extra 20 pounds when we can take 300 pounds for free. We'll feel like Santa and Mrs. Claus when we get there and start handing out gifts. I'd like to buy some Haitian art while we're there and see how I do with it on eBay. Maybe we could have a little import/export business to help pay for future trips to Haiti. Simple things like shampoos that cost $1 at Longs sell for $7 or $8 in Haiti. Practically everything is imported and expensive there, even though the people are so poor. Well, I'm off to swim. Andre gets home from school at 1:00 and we still have things to do before our blast-off tomorrow. 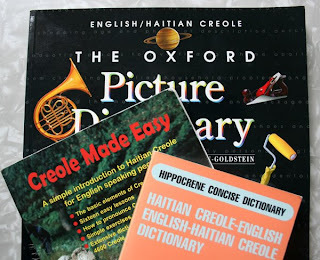 Hopefully next time I'll have more time to teach you some Creole.